Tooth loss affects more than your oral health: it also impacts your self-confidence. That’s why the way a replacement option looks is just as important as the way it functions. One of the most common questions many people have about dental implants in West Palm Beach is whether they’re noticeable or not. You’ll be glad to know that part of why implants are so popular is their discreet, natural appearance (and the fact that they won’t “slip” during a meal or conversation like dentures can). In this blog, you’ll not only find out how implants work but also learn about the many cosmetic benefits they offer. Find out more below! Implants are very different from bridges and dentures for one main reason: they replace the roots of missing teeth. Once the implant itself, which is actually a titanium post, has been placed in the jaw, it’s given 3-6 months to integrate (or fuse) with the surrounding jaw bone. Then the final step is to attach a single dental crown, bridge, or denture. These restorations are matched in size, shape, and color to your existing smile so they’ll look natural and blend in seamlessly. Will Other People Know That You Have an Implant? Since an implant is basically a replacement root, it’s just as invisible as the other roots of your teeth! And since an implant looks, feels, and functions very naturally, no one (including you) will know it’s there. In fact, the only way to know for certain that you have a dental implant is to take an X-ray that shows the titanium post in the jaw. How Do Implants Enhance Your Appearance? A full smile – Having gaps or spaces in your smile can make anyone feel self-conscious. Dental implants give you a full smile again that you’ll feel proud to show off. Youthful bone structure – When your teeth are taken out, your jaws begin to slowly “shrink,” which eventually gives your face an aged, sunken-in appearance. Dental implants stimulate and maintain the jawbone to prevent this and help you maintain a youthful facial structure. There’s no question that implants benefit your oral health in many ways. But they also look and feel so great that no one will know you lost teeth to begin with! Dr. Mihran Asinmaz is a general, cosmetic, and restorative dentist and a member of the International Congress of Oral Implantologists. In his experience, his patients want to restore their smile with something that not only functions well, but also looks fantastic. Part of why he loves implants is that they’re such a great solution for both concerns. 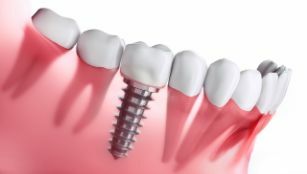 If you’re considering dental implants in West Palm Beach and have any other questions, he can be reached via his website.